Johannes Hahn, Commissioner for European Neighbourhood Policy and Enlargement Negotiations will be in Skopje on 17 and 18 September to open the EU-Western Balkans Media Days. The conference will gather more than 300 representatives of media and civil society organisations as well as policymakers from the Western Balkans and the EU to discuss the crucial role of media in the accession process and to develop forward looking proposals and actions to improve the situation of journalists and strengthen independent media. This year’s edition will focus on young generation of journalists and themes such as economic sustainability, regional cooperation of media and professional training. Ahead of the visit, Commissioner Johannes Hahn said: “I am looking forward to attend the second edition of the EU – Western Balkans Media Days, which became a well-known brand after its successful start last year. I am proud to welcome this year more than 300 media professionals and organisations dealing with media. The conference will focus on topics such as how to strengthen media freedom and support independent media, the importance of quality reporting in times of disinformation and fake news; business sustainability, media literacy, professional training and the role of public broadcasting. The exchange of experts and top professionals will pay a substantial contribution to raising awareness of the crucial role of independent media and quality reporting in the EU accession process“. In Skopje, Commissioner Hahn will also meet with political authorities, including Prime Minister Zoran Zaev, Minister of Foreign Affairs Nikola Dimitrov, Deputy Prime Minister for European Affairs in charge of European Affairs Bujar Osmani and Deputy Prime Minister and Minister of Defence Radmila Sekerinska as well as with the leader of the VMRO-DPMNE party Hristijan Mickoski. He will also participate in a citizens’ dialogue in Shtip. 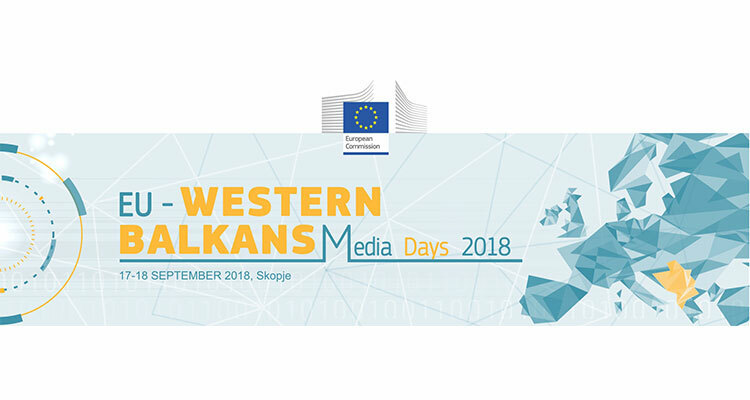 More information on the EU-Western Balkans Media Days is available online.